Both puppies absolutely loved them (and still do)! 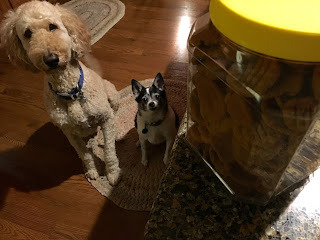 Do you make homemade dog treats? If so, what kind? We also thin slice chicken breasts and put them in the dehydrator to cook. Doggie treats are a little time consuming, but very economical and I'm sure that the puppies appreciate the effort we put into it!